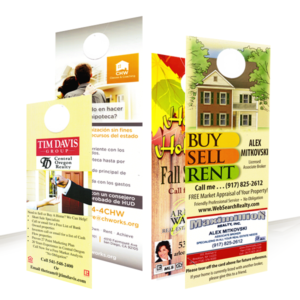 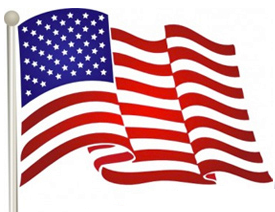 We also print Door Hangers in many sizes including custom sizes if required. 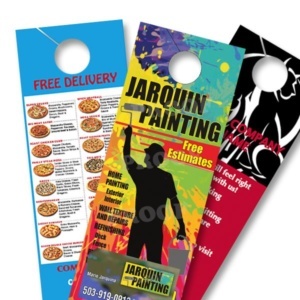 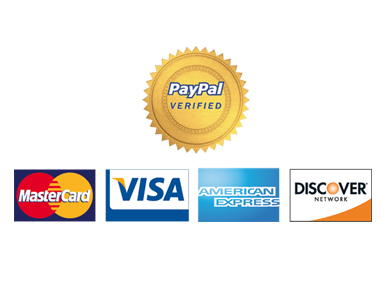 The basic size are Small Door Hangers – 3.5” x 8.5”, Large Door Hangers 4.25”x 11”, Wide Door Hangers – 5.5” x 8.5”, Jumbo Door Hangers – 5.5” x 17”, Custom Size if you need. 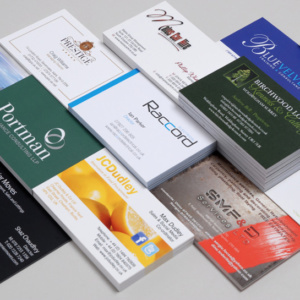 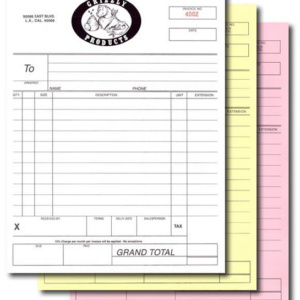 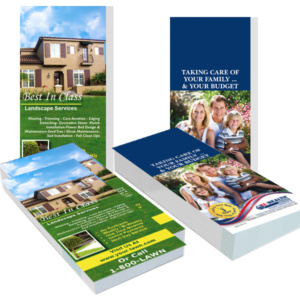 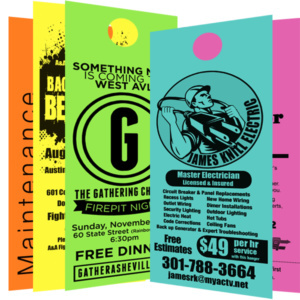 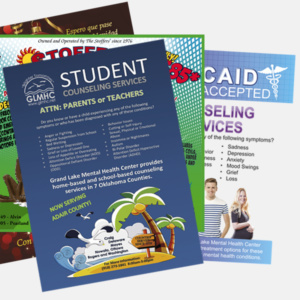 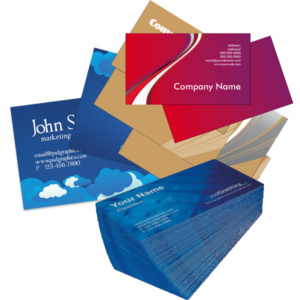 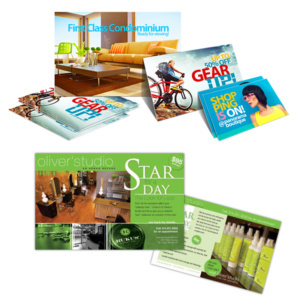 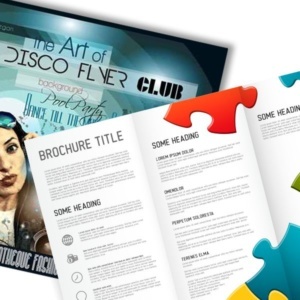 Our Door Hangers are printed on thick card stock (100# Cover) , Printed on latest high performance printing presses and Die Cut holes to perfection.